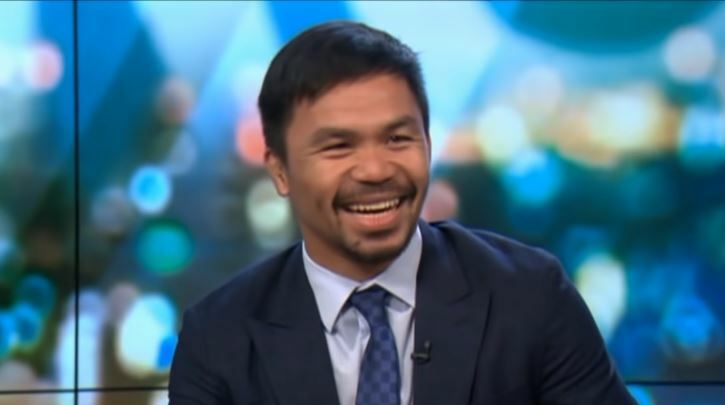 Manny Pacquiao might be one of the more humble world-famous sportsmen out there but when the right questions are asked, he can be just as outspoken as the next person in his frank answers. Senator Pacquiao has been enjoying a trip to the UK this week ahead of an upcoming fight against Adrien Broner on January 19th. It is understood that former trainer Freddie Roach will not be in his corner again at this point and that Pacquiao will once again use his friend and long time assistant coach Buboy Fernandez whom he won a TKO victory with over Lucas Matthysse last time out. A solid plan if he sticks to it. A fight against Broner and Mayweather combined could earn him between $75 million to $100 million together for both fights pending on what the pay per view sales are.